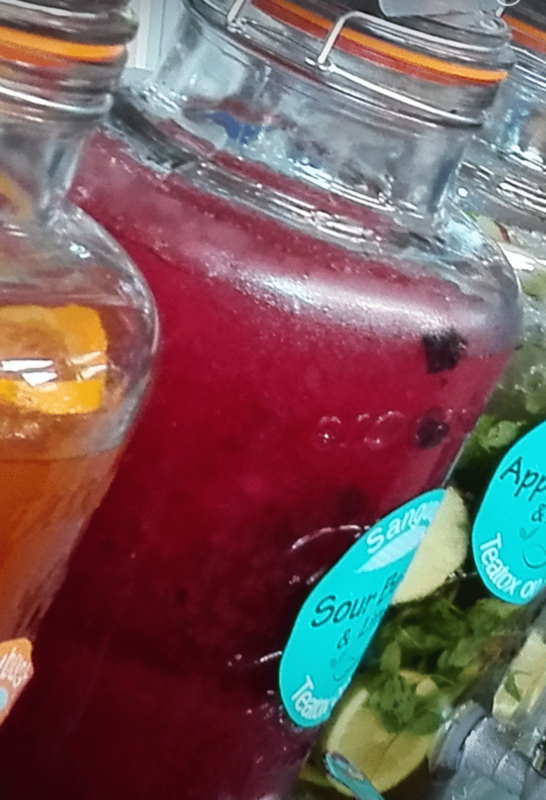 Refresh, hidrate, detox, reboot……as you allow nature to heal….. 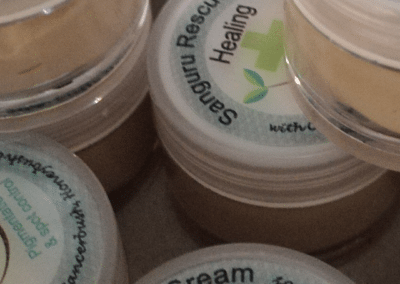 Enjoy our healing blend of 13 Indigenous herbs hand picked from the Karoo. 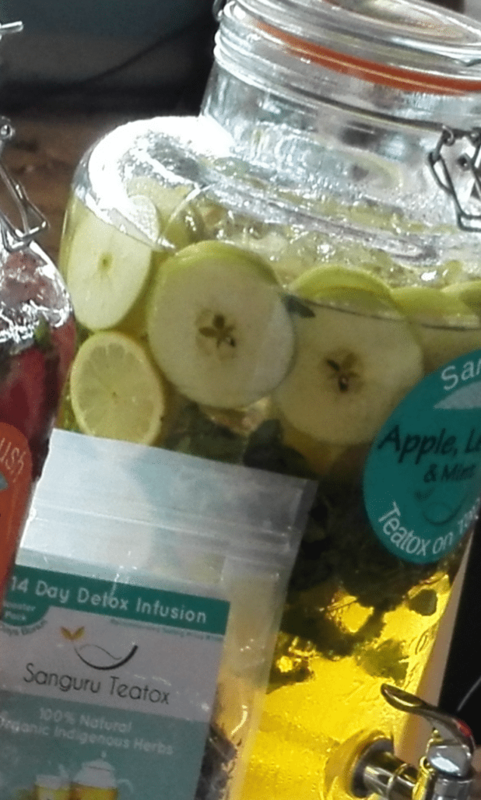 Our infused herbs can be enjoyed as an Iced tea….. or for the brave tea lovers hot. 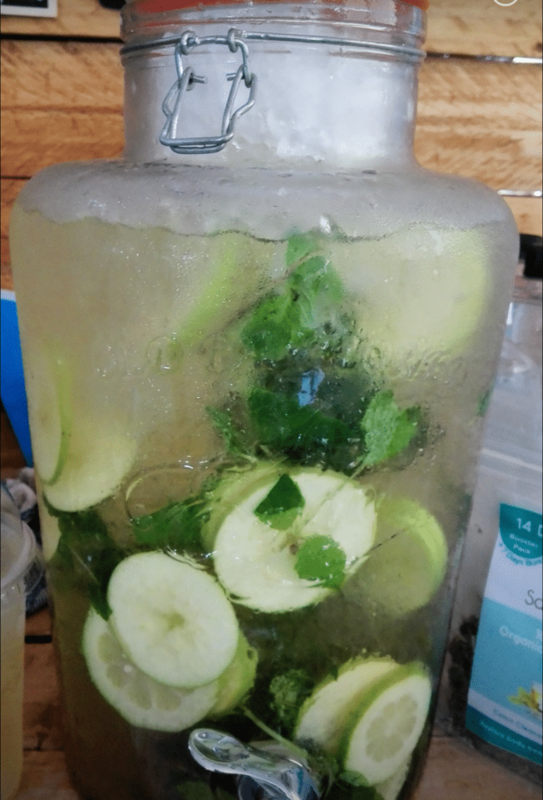 Best and recommended served cold with fresh fruit and seasonal juices: Apple, Cranberry or any juice, slices of fruit, frozen berries, mint and zest or even cucumber ribbons to be enjoyed as a strong Vitamin water. Our Sanguru detox tea has a bushy smell reminiscent of a walk through the Karoo velt, and similar unique distinct taste. Free tasters are available and our brand ambassador will assist you, you are most welcome to try. The bitterness comes from the Cancer bush, and Yarrow well known for their healing properties. 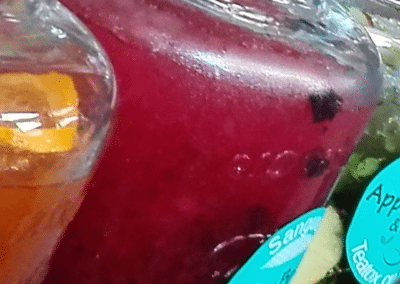 The added juice balances this well. Stinging nettle, Wild dagga (from the mint family), Buchu, Dandylion, Alfalfa, are all selected and blended to give you vitality. 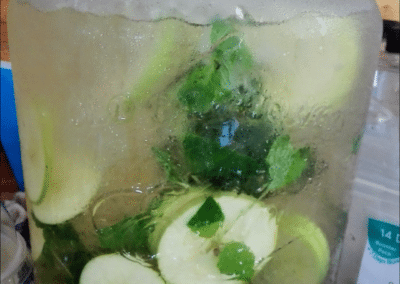 If you drink two spoons of tea a day infused in boiling water and diluted to 2 liters, by day two or three you will have a gentle colon cleanse as the plaque lining and clogging the villi in the intestine is loosened and removed…noticable in your stool as a slimy black deposit, followed by your body detoxing as all waste now exits daily not allowing the reabsorption of toxins. Bloatedness, body aches and pains and mind fog lifts and you feel more energised and focussed. If your a computer was sluggish, froze or not performing you would simply press the reboot button….. Maybe it’s time for your system to do the same. SANGURU detox is non invasive and a healthy way of effective results. Many clients on chronic medication after three months on the tea have allowed their bodies to heal itself. Many experts believe that most disease originates in the gut. By keeping the colon clean, you take stress off the body and pressure off the stomach decreasing the contact time with the food on stomach wall lining sothat the body produces less acid. Gout , acid reflux and heartburn, IBS are all related and clients find huge relief. The tea contains high levels of silica used in skin restoration, great for improving long term scarring and elasticity of skin, full of anti oxidants and minerals and our ladies look and feel younger! Student have mind focus and athletes endurance. 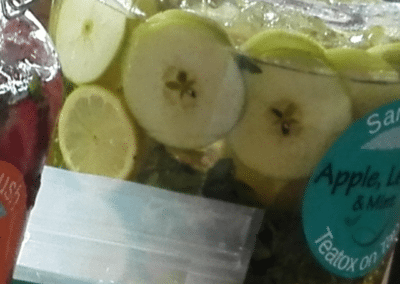 Our ready on tap teas contain no added sugar and is great for diabetics, many are on the tea for years and have managed to reduce weight as the tea is a natural diuretic and appreciate surpressant, and their sugar levels have improved. The tea is sold as a vitality tea and we make no health claims. Your body is unique and everyone is different but thousands of clients have enjoyed and continue to enjoy our tea as a lifestyle. We courier nation wide with Fast Way couriers so if you run out we’re a call away. We sell the tea in 21 day packets at R190 and a family special of buy two at R380 and get one free… We throw in a strainer and a cup of tea (and refill) on tap if you buy from the stand so we get you started on your wellness journey today! Cape Agulhas honey bush tea is great for pregnant mom’s and tealovers, babies and enjoyed as a vitality tea! We have this on tap and change the flavours weekly to give you inspiration for home! Visit and like our Facebook page for great recipe ideas. So if you’re hung over or feeling like you need to recover from over indulgence on a holiday, or you’re a bride to be and need to feel fantastic on your day and honeymoon, a busy tired mom, a stressed professional or student, or suffering from a chronic disease visit our stand, it will be life changing! Sanguru salt skin scrub will exfoliate, nourish and open your pores as you shower and cleanse. Teatree and essential oils, bio oils and organic coconut and almond oil will soothe, is anti bacterial and has anti fungal properties. After the scrub, rinse the Honeybush tea off and dab dry allowing the oils to seep into skin, calming and self moisturising your fresh new foliated skin. Used often no more cracked heals or chicken skin. 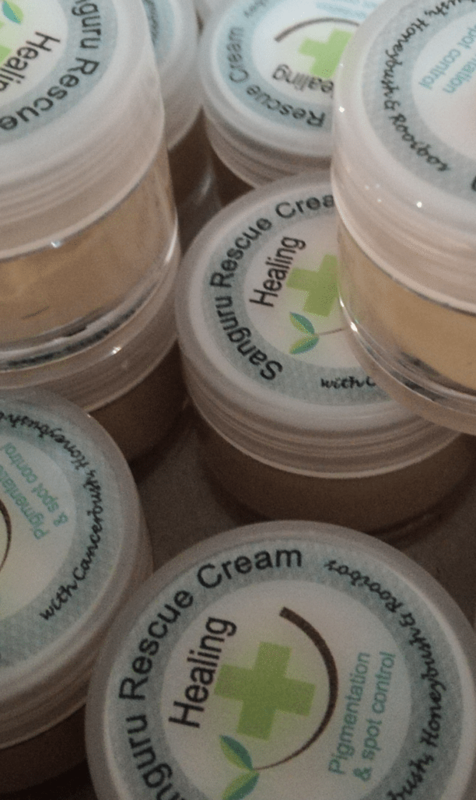 Our skin balm range, massage hot balm, lip balm with bee’s wax and rescue cream is made with natural products and was launched at the Rooibos expo last year. For pesty fever blisters, nips, burns, stings ….. Always keep some in your bag and often shared with furry friends as dogs heal faster on cuts skin disorders and operations.